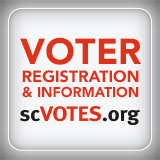 COLUMBIA, SC (June 20, 2018) – The State Election Commission wants to make sure voters understand the rules for voting in the Primary Runoffs on Tuesday, June 26. 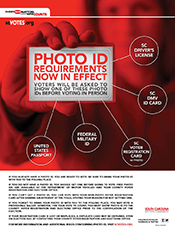 Voters who voted in the June 12 Primaries are limited to voting in the same party’s runoff. Voters who did not vote on June 12 can choose to vote in either party’s runoff. Everyone who voted in the Republican Primary will have a runoff to vote in on June 26. This is because there is a statewide Republican Runoff (Governor and Attorney General). Only some voters who voted in the Democratic Primary will have a runoff to vote in on June 26. This is because there is no statewide Democratic Runoff. 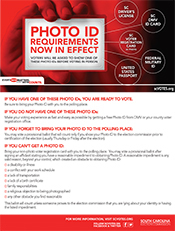 Check the lists below to see how this affects each county. 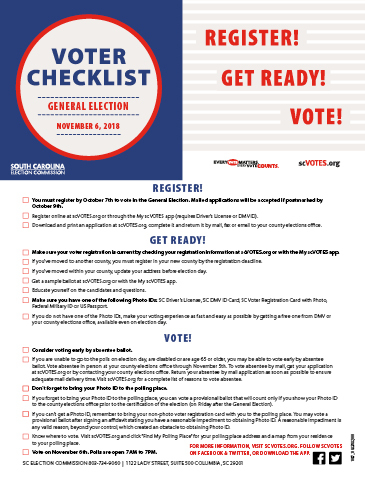 Voters should check their sample ballot at scVOTES.org to determine if they are eligible to vote in any runoffs, and if eligible, to familiarize themselves with their ballot before election day. 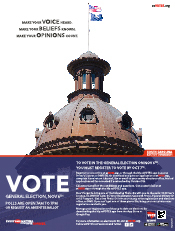 Voters who voted in a primary on June 12 should be sure to select the same party when viewing their sample ballot. 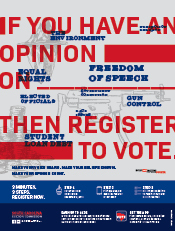 Click here for a full list of runoff offices for each party. Counties with a countywide Democratic Runoff – All Democratic Primary voters in these counties will be eligible to vote in a runoff. Counties with a less-than-countywide Democratic Runoff – Only some Democratic Primary voters in these counties will be eligible to vote in a runoff. Counties with no Democratic Runoff – No Democratic Primary voters in these counties will be eligible to vote in a runoff.